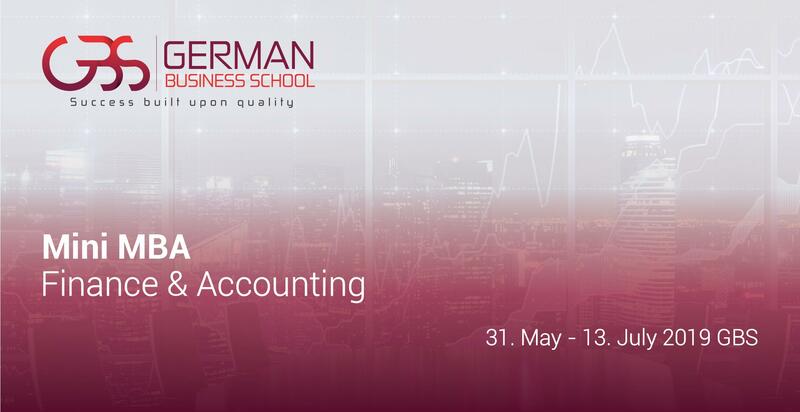 German Business School launches a Mini MBA - Finance and Accounting, with a Certification preparation provided. The training starts on May 31th, 2019. By March 31, 2019 you will receive reading material, articles, books and tasks to prepare for the sessions. The sessions are scheduled for the weekends in June 2019. upon the completion of the sessions, our lecturers will assist you during the exam preparation by proving further reading material.